The bench asked Attorney General for India Mukul Rohatgi to justify making Aadhaar mandatory for filing I-T returns. Appearing for government, Rohatgi said the government brought the legislative mandate. "Is this the remedy against fake PAN, ration cards? Forcibly asking people to get Aadhaar," Court asked the senior most law officers of government. "Sec 139A of Income Tax Act already made PAN mandatory for filing returns. 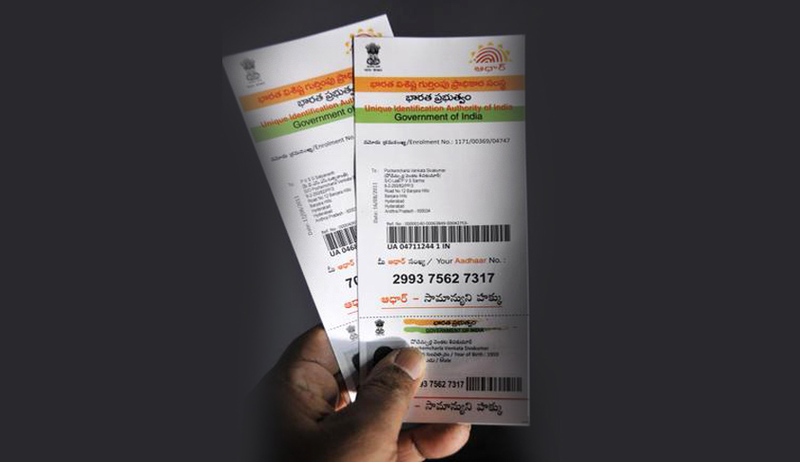 But fake PAN cards are used, so we have linked Aadhaar to PAN", AG said. "Making Aadhaar mandatory for filing IT returns is legislative mandate. Earlier, the court agreed with our policy to make Aadhaar mandatory for SIM cards," Rohatgi said. The court was hearing the petition filed by former Kerala minister and CPI leader Binoy Viswam challenging the constitutional validity of S. 139AA of the Income Tax Act, 1961, alleging it to be ‘illegal and arbitrary’ and ‘violative of Articles 14 and 21 of the Constitution. The petitioner submitted that he is a tax-paying citizen and does not hold an Aadhaar card till date nor has he applied for the same in view of the legitimate expectation that the said scheme was not mandatory in view of the orders of Supreme Court as well as Aadhaar Act.